Last of the enrollment kits are ready for pick up! I have a few extra if anyone is interested. Attention Parents and Students this is the schedule for the Christmas and New Years. 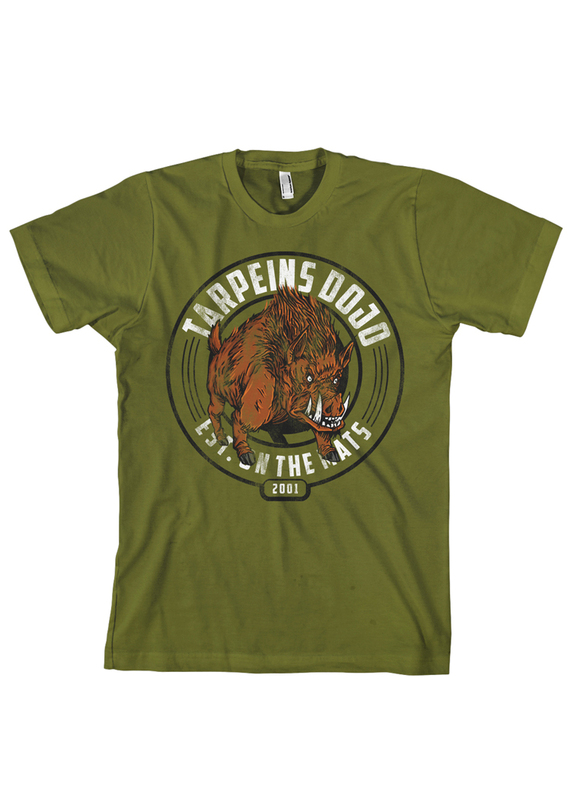 December 23rd will be the last class at both Moline and Bettendorf Tarpein’s academies. The first day back will be Friday, January 2nd MOLINE ONLY. Child Class will be held Friday at 5 PM MOLINE LOCATION ONLY. Bettendorf re-opens January 5th Business as usual. 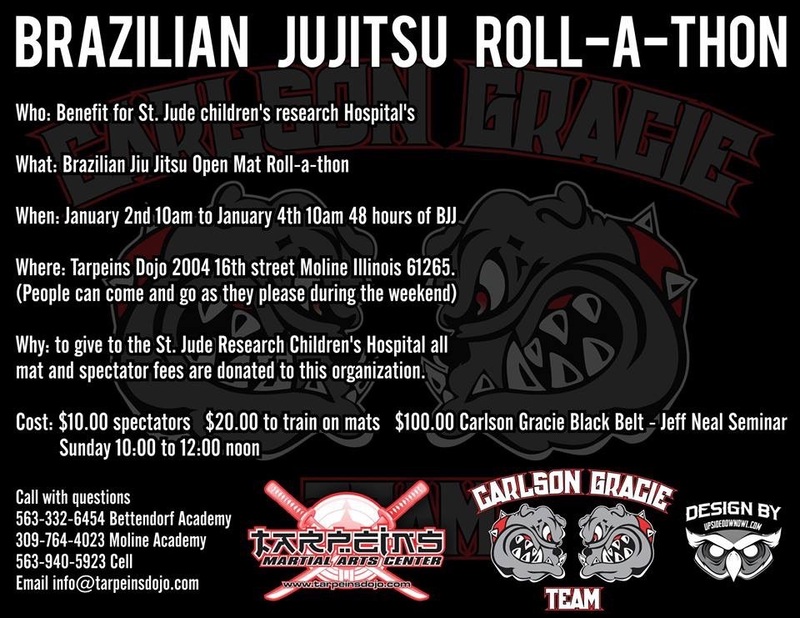 We are doing the Brazilian Jiu Jitsu Roll-A-Thon in Moline Friday to Sunday Jan 4th 10AM it ends (48hrs of BJJ). All money collected will go to St. Jude Children’s Research Hospitals. The Brazilian Jiu Jitsu Seminar will start Sunday 10 am after the BJJ roll a thon ends with Jeff Neal – Carlson Gracie Team Black Belt. We have the whole series finished for the year, feel free to have a look in pick one out for you or someone else. 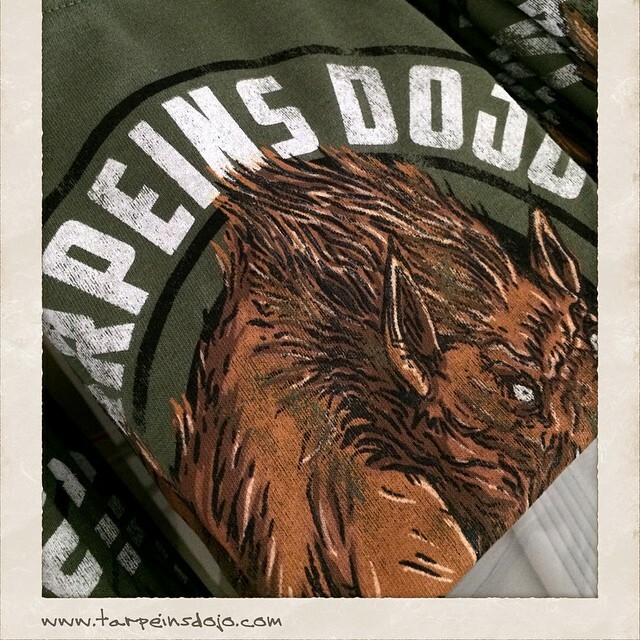 Brazilian Jiu Jitsu Roll-A-Thon 48hr for St Jude. Tarpeins Dojo’s and awesome students are kicking off the New Year with a bang! 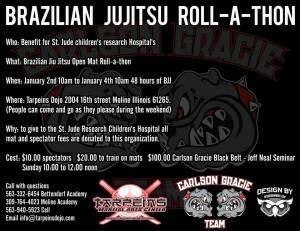 We are doing a Brazilian Jiu Jitsu Roll-A-Thon of St. Jude Children’s Hospitals. It’s an open mat with the idea of bouncing ideas off fellow BJJ’ers. All schools are welcome as well as all skill levels. Mat and spectators fees are going to be donated to the organization. We start Jan 2nd at 10 am and go till Friday Jan 4th. 10 am. Feel free to stop in train, watch, and donate for a great cause. Jeff Neal – A Carlson Gracie Black Belt will conduct a seminar Sunday at 10 am. See you on the mats. 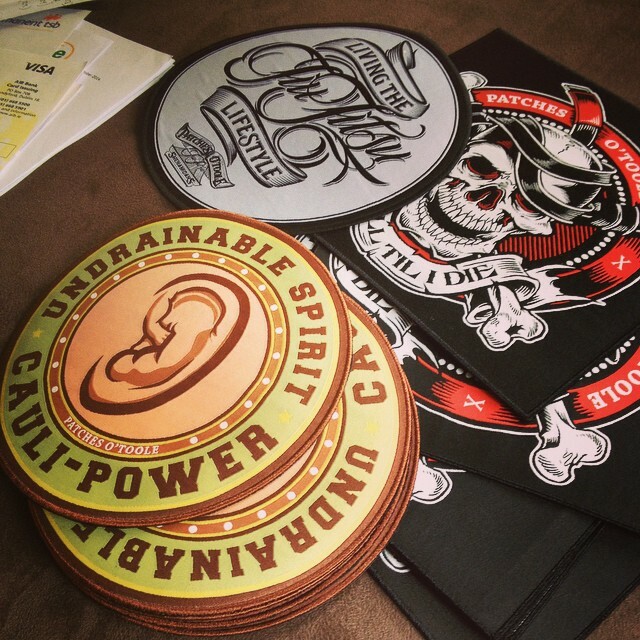 Keep discovering piles of patches all over the office ! My two cents on Gi VS. No Gi training. Let’s just start by saying anyone who knows me, will know right away where I stand on this much debated hot topic. Coming from a strict traditional karate back ground, most know I am pro Gi all the way. That’s being said, I recommend training both styles of grappling to be well rounded. In my opinion the Gi will make you more well versed on escaping properly when stuck in a bad position. No Gi should work just about the same as far as a proper escape route. Both are equally as fun in my opinion, so I truly feel that it is good to do both at some point in your training. Also for self-defense it is good to get used to grabbing material is far as Gi is concerned and to get used to not being able to control somebody with a collar or a sleeve. 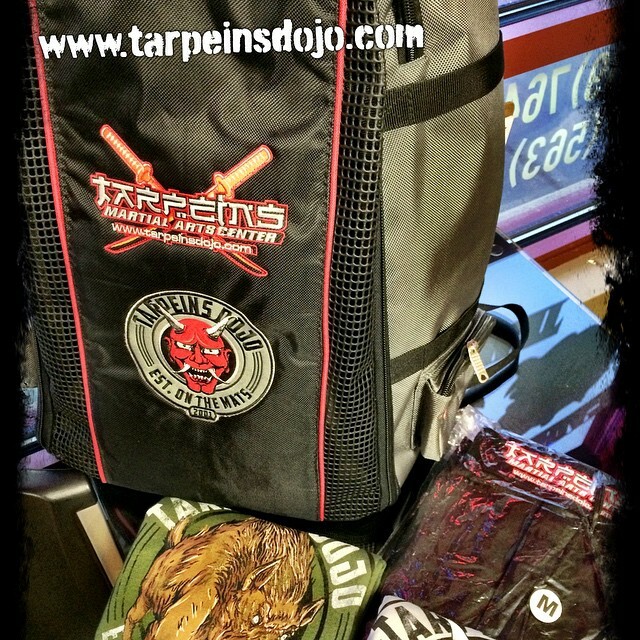 With a Gi on there are more tricks and submissions to be aware of, versus the No-Gi application of grappling. No Gi is typically a faster pace match but with less opportunity of techniques to finalize an opponent with. I am often asked this question if training in a gi or no gi is better, and I always say don’t fear the gi hommie. See you on the mats!